Great, successful businesses begin with a clean, healthy work environment. A tidy office keeps you feeling uplifted, increasing energy levels and productivity. Gold Star Services of Alvin Texas has been the leader in providing healthy work environments by providing commercial carpet cleaning services since 2001. We specialize in deodorizing, and disinfecting any, and all carpets. With the amount of traffic a business place encounters each day, think about the amount of dirt, pollutants, bacteria, and allergens a carpet must accumulate. Over time, all of these factors can lead to many health problems, affecting the staff and productivity. Why wait for the harmful effects to show when you can have Gold Star Services remove all those pollutants, bacteria, and allergens. Our friendly, skilled staff is trained and well equipped to clean carpets at any major facility........stores, schools, churches, medical facilities, offices, nursing homes, day care centers, etc. We provide flexible scheduling, whether you need a one time job done, bi-weekly, weekly, monthly, you name it, we'll do it. Our rates are the most competitive you'll find in Alvin TX, for the quality of service and product. 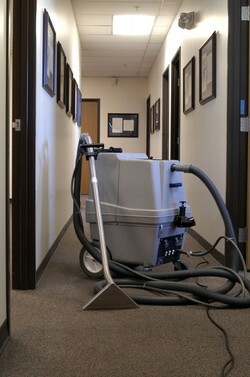 For fast, reliable, affordable commercial carpet cleaning services in your Alvin, Texas facility, call (832) 735-0555.